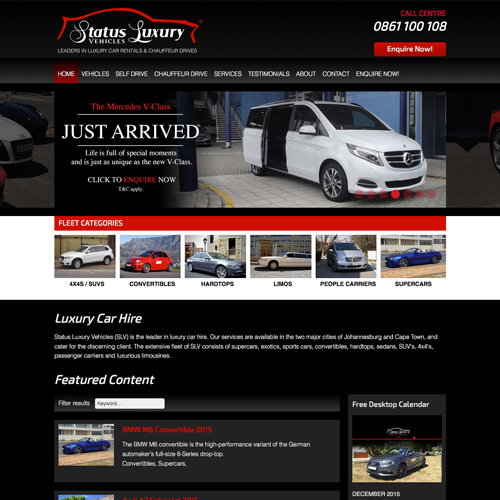 Status Luxury Vehicles (SLV) is the leader in luxury car hire. Our services are available in the two major cities of Johannesburg and Cape Town, and cater for the discerning client. The extensive fleet of SLV consists of supercars, exotics, sports cars, convertibles, hardtops, sedans, SUV's, 4x4's, passenger carriers and luxurious limousines.